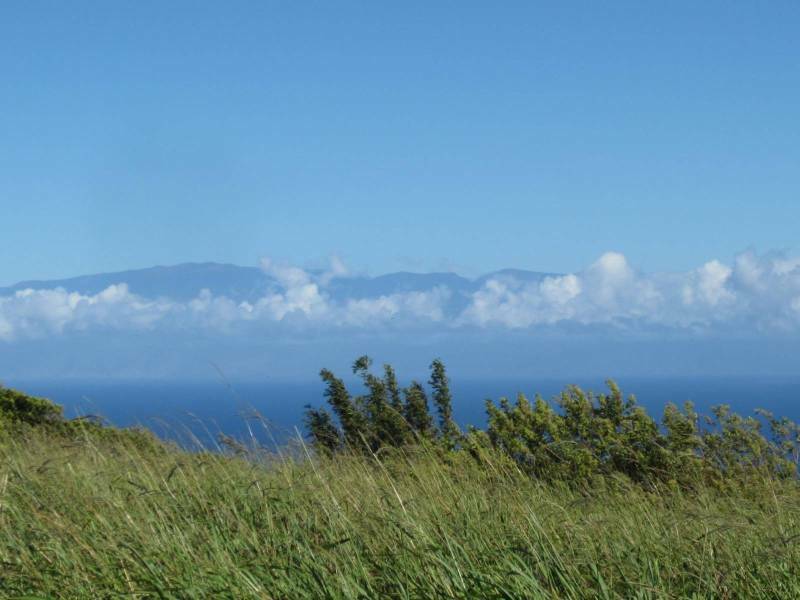 The three homes for sale in Maliu Ridge above Hawi are all in the most desirable west-facing Maliu Ridge II section. That gives them ball-dropping-in-the-ocean sunsets and Maui views. Sometimes Maui looks like you could reach out and touch it from Maliu Ridge II homes and lots. Hawiʻs Maliu Ridge is an unusual subdivision in that it has paved roads, street lights, and modest CC&Rs…but no subdivision gate, homeowners’ association, or design review. Lot size is at least one acre, and sometimes three or four acres. Zoning is agricultural, so many owners keep a horse or sheep on their lots. It is a friendly community with a mix of full-time and part-time residents, retirees, and young mothers walking their children in strollers. There are currently no vacant lots for sale in Maliu Ridge, but three quality homes are on the market at asking prices from $899,000 to $1,299,000. 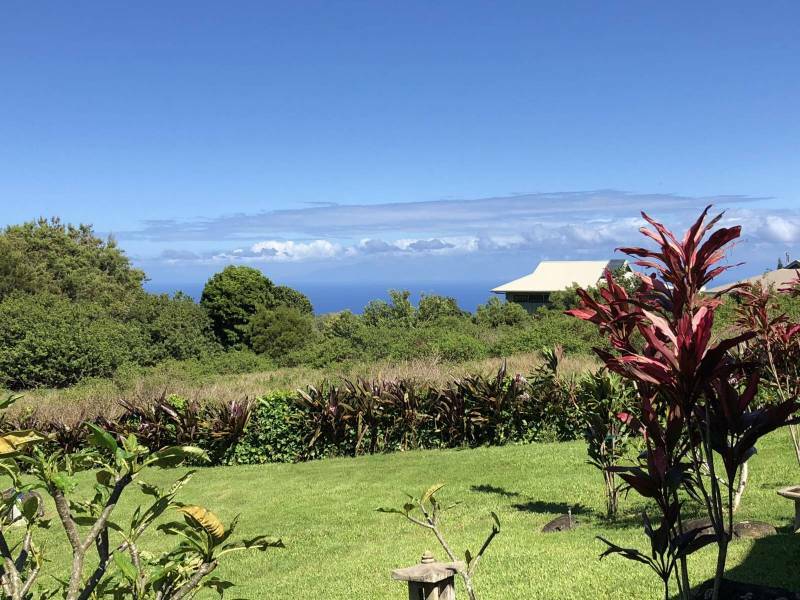 Each has its own desirable qualities; all have those ocean views and the serenity of a home on acreage in rural Hawi. Listed for $899,000, 1,894 sq ft home with 3 bedrooms and an office on an extensive, fully fenced landscaped acre (MLS 618918). This first home on Kualapa Place has a fully fenced yard and is already planted with white pineapple, dragonfruit, papayas, bananas, avocados, lemon, lime, tangerine, loquat, mangos, coconuts (including the prized dwarf variety), lilikoi, and coffee. Recent updates to kitchen and baths, and a wind-sheltered lanai are advantages to this listing. 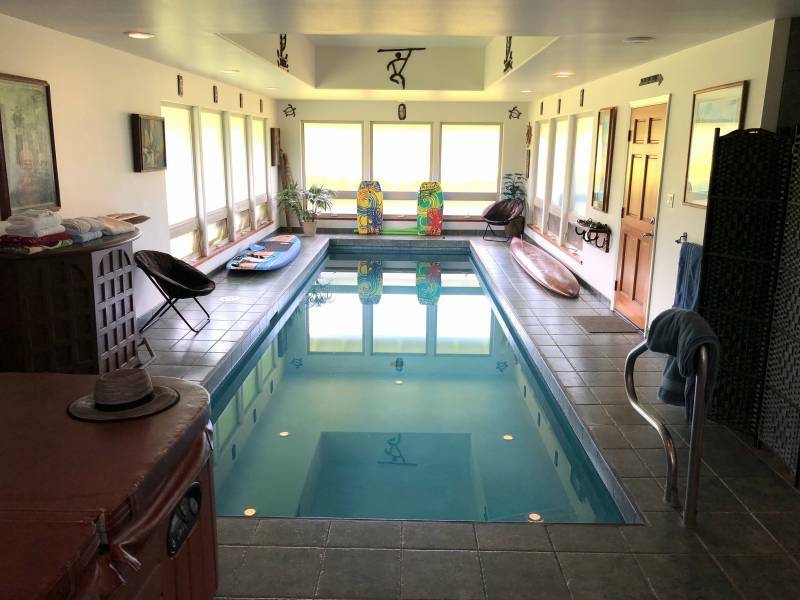 Listed for $899,650, the 2,474 sq ft home includes an indoor pool room…the kind you swim in, not the table you play on! (MLS 619790). Across the street on Kualapa Pl is another home on an acre. At an elevation of around 1300ʻ above sea level, with the famous Kohala trade winds a factor, the best solution for someone who wants a Maliu Ridge house with a pool would be this home, with its indoor lap pool. It is rare to find a mid-century modern home in Hawi; look for it at the end of this shaky video I took to highlight the serene landscaping and ocean views (MLS 621080). Designed by Santa Monica based Koning Eizenberg Architecture, landscaped by local master David Tamura, tastefully updated by subsequent owners, and with those gorgeous ocean and Maui views, this Maliu Ridge house is a rare departure from plantation, ranch, or resort architecture. If you are a Dwell magazine reader, this is your home. There are currently 11 active listings of homes on acreage near Hawi, and a few upcoming or pocket listings I could tell you about. 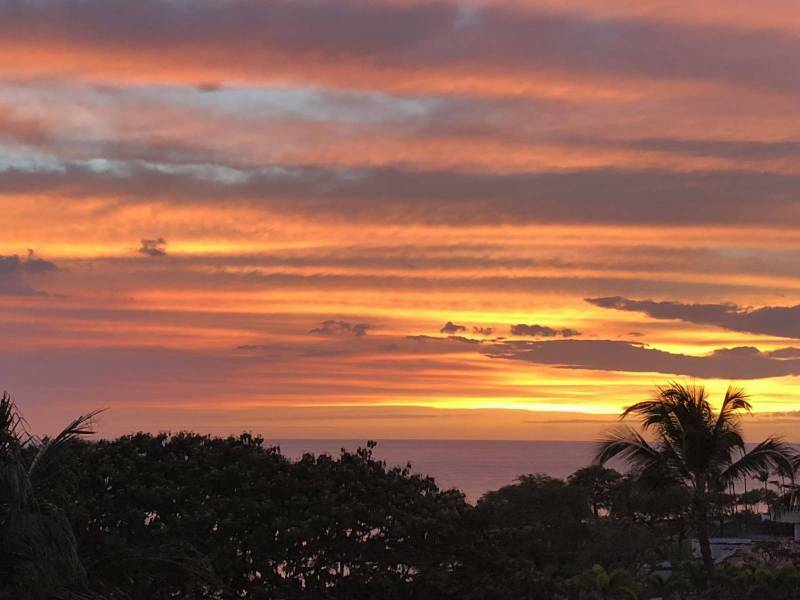 This is excluding the gated communities of lower North Kohala with another 19 listings from which to enjoy those spectacular ocean view sunsets. Price point, acreage, and style of home vary widely, so contact me directly if you need help finding the right Kohala residential property for you. Beth Thoma Robinson is a R(B) DIRECTOR, CONSERVATION AND LEGACY LANDS, BROKER-IN-CHARGE with Hawai'i Life. You can email me at	beth@hawaiilife.com	or via phone at (808) 443-4588.